"We're New. Any Tips on the Gear?" Our April 20 evaluation day is mandatory for all players, regardless of experience or ability. This is an easy 20-minute skate that allows us to create teams with evenly distributed levels of ability. Please arrive with all required gear, listed below, contained in a single hockey (duffel) bag. If you haven’t gathered all the gear yet, today is the day. Order your missing pieces at InlineWarehouse.com HockeyMonkey.com or HockeyGiant.com. Amazon also has a number of items that can be sent 2-day via Prime. For those of you who can do it, a single trip to Play It Again Sports in Lynnwood and Elevate Sporting in Tacoma will almost always get you fully geared up with lovingly worn gear at a very reasonable price. Lighter colored helmets are cooler under the summer sun. Wheels and bearings wear out, especially on our used gear. If you need help getting your skates in working order, just ask! Coaches, board members and veteran families have lots of gear experience and we're happy to help! The D1 Schedule has been changed. The Panthers players will be split between the Sharks and Flames. Our traditional D3 vs. Old-Timers Game is one of the highlights of our Championship Saturday, and we encourage all current D3 players to skate a few shifts on the youngster squad. Team Geezer needs all the help it can get, but we must limit participation to parents, coaches, and BRHL alumni. This is our final official league activity, not an all-comers game open to the public. It's put up or shut up time, old people! See you at 7:30. With a truly incredible effort by our partners at the Parks Department the rink is repaired and ready for use. We will begin all Practices and Games according to the original schedule starting Tuesday July 10th. The games we lost from July 8th will be moved to July 15th. See the updated schedule below and on the site. 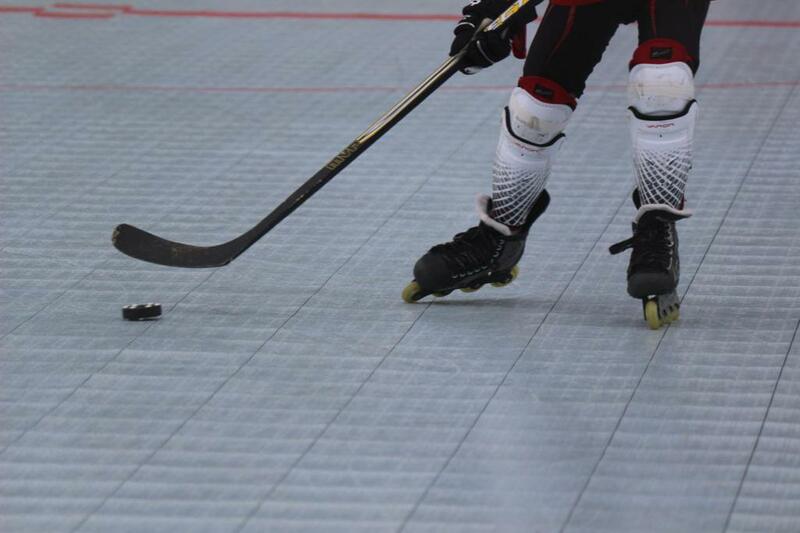 Sadly the rink has been damaged by vandalism and is currently unplayable. We will be announcing plans going forward when we get more information. Thanks for a Grand Old 4th Parade, Skaters! A lively group of D1 and D2 players dated in this year's Grand Old 4th Parade, and made quite a splash! Big thanks to organizer Jon Payne and the parent volunteers who walked the route with us and provided much-needed water, candy buckets, and moral support. If you've got photos to share, please send them to info@bihockey.org. Here are some, courtesy of the Bainbridge Islanders Facebook page.